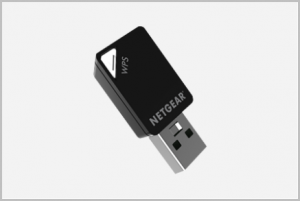 Netgear A6100 is a WiFi USB mini adapter that enables your computer to connect to your wireless network. Keeping its driver up to date will fix bugs and guarantee that your device works at peak performance. If you are going to install Netgear A6100 for the first time, or if you want to update the driver for Netgear A6100 on Windows, here are three methods for you. To install the driver manually, you need to download the driver file from its official website and then install it on your computer on your own. 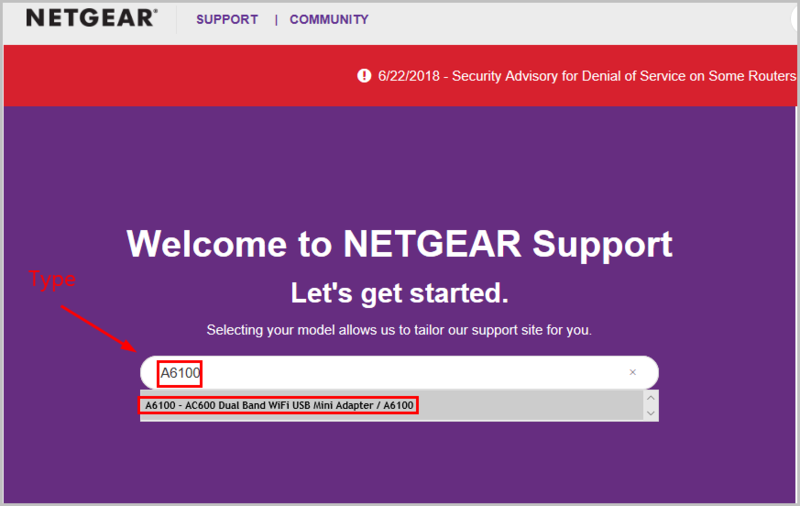 1) Visit Netgear’s official website and click Support. 2) Type A6100 and then click A6100 – AC600 Dual Band WiFi USB MiNi Adapter / A6100 in the suggestion list. 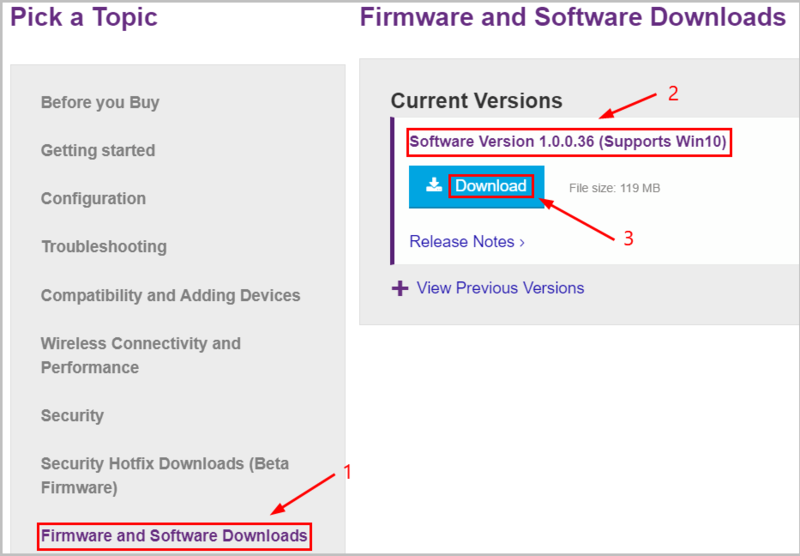 4) Select Firmware and Software Downloads, click Software Version 1.0.0.36 (Support Win10), and then click Download. 5) Extract A6100-V1.0.0.36.zip, then double click A6100-V1.0.0.36.exe to run the wizard. 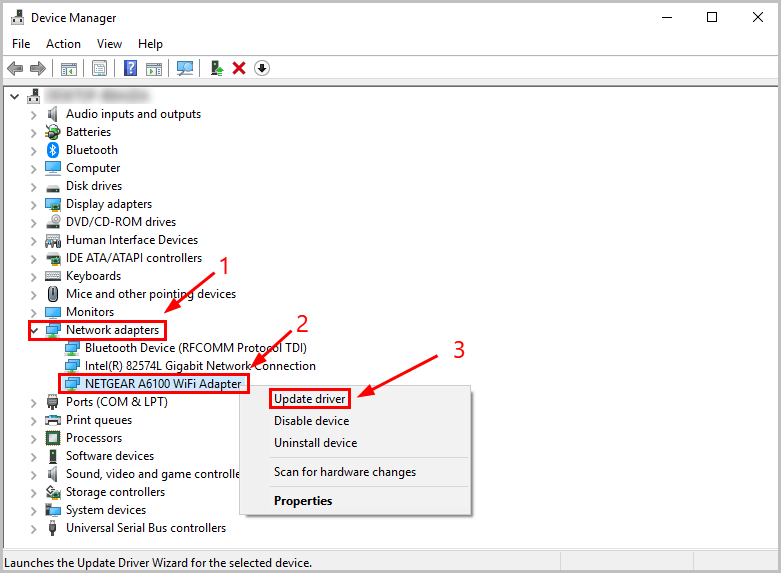 Follow the instruction of the wizard to update your driver. You can also update the driver with Device Manager. Here’s how to do it. 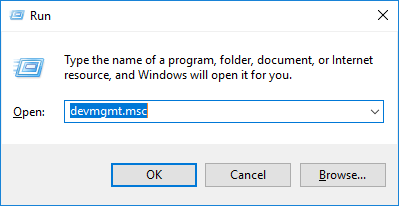 1) On your keyboard, press the Windows logo key and R at the same time to open the Run dialog, then type devmgmt.msc and press Enter on your keyboard. 2) Double click Network adapters to expand the list, right click NETGEAR A6100 WiFi Adapter and then click Update driver. 3) In the pop-up window, click Search automatically for updated driver software. The system will search and install the latest driver for your PC. 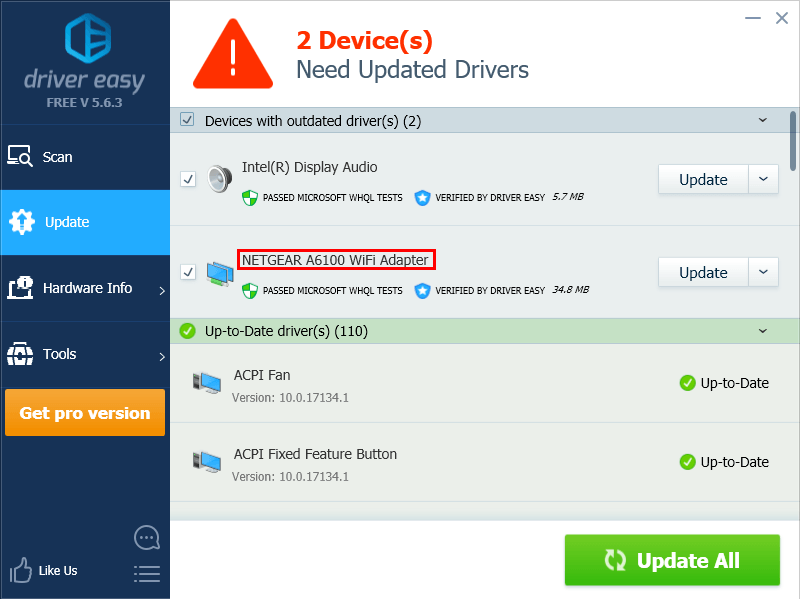 If you don’t have the time, patience or computer skills to update the driver for Netgear A6100 manually, you can do it automatically with Driver Easy. 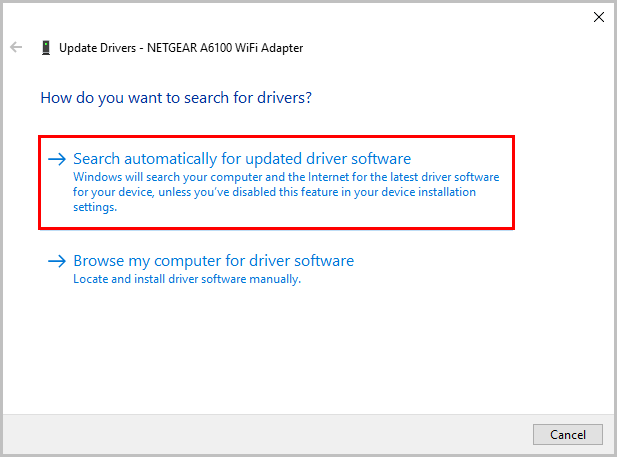 3) Click Update next to “Netgear A6100 WiFi Adapter” to automatically download the correct version of this driver, then you can install it manually. Or click Update All to automatically download and install the correct version of all the drivers that are missing or out of date on your system (this requires the Pro version – you’ll be prompted to upgrade when you click Update All). You can do it for free if you like, but it’s partly manual. 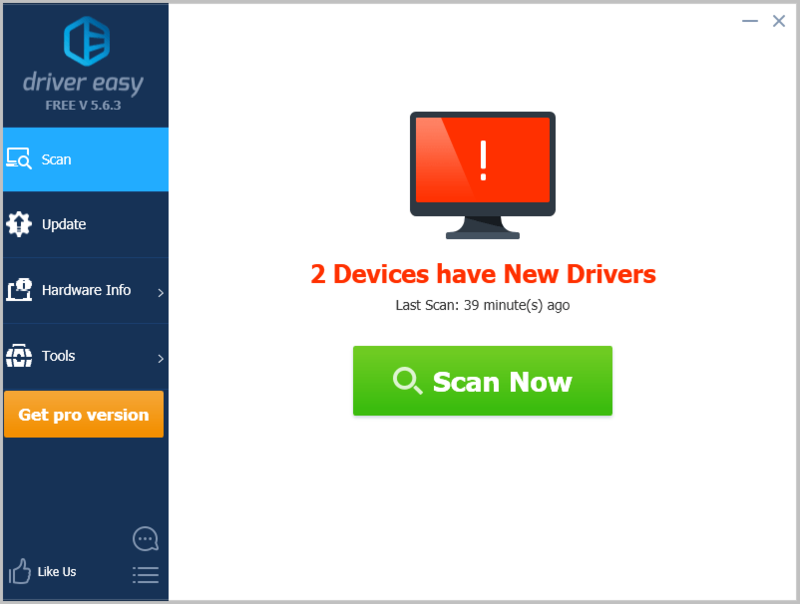 If you have any issue with Driver Easy, please contact Driver Easy’s support team at support@drivereasy.com for advice. You should attach the URL of this article so they can help you better.